All district police heads and chief of security wing in Kashmir, "there is a strong input" that an 18-year-old woman non-Kashmiri woman might "cause a suicide bomb explosion" near or inside Republic Day parade in Kashmir. A high alert has been sounded in Kashmir following an intelligence input that a non-Kashmiri woman suicide bomber might disrupt the forthcoming Republic Day celebrations in the Valley. According to a message circulated from the office of Inspector General of Police (Kashmir) to all district police heads and chief of security wing in Kashmir, "there is a strong input" that an 18-year-old woman non-Kashmiri woman might "cause a suicide bomb explosion" near or inside the Republic Day parade in Kashmir. "All are directed to please ensure that frisking of ladies at the (venues) is done meticulously and with utmost caution so as to thwart the designs of anti-national elements," reads the message. The suspect is believed to have already arrived in the Valley. 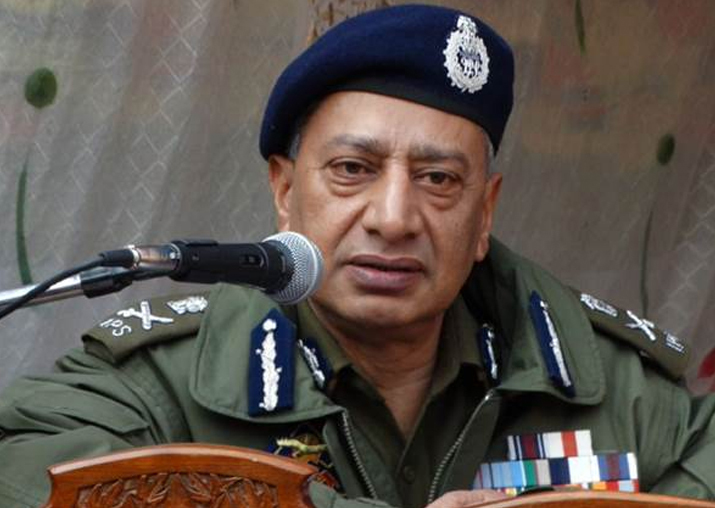 Director General of Police SP Vaid, however, sought to downplay the reports and assured foolproof security for the Republic Day celebrations. The state police chief said all counter mechanisms were in place. Meanwhile, CRPF personnel today averted a major tragedy after its personnel detected and defused a pressure cooker IED near a railway station in Pampore area of Pulwama district of Jammu and Kashmir. "An IED fitted in a three-litre pressure cooker was detected by alert jawans of the force at Kandizal-Tangpora village near the railway station," a spokesman of the CRPF said. He said a bomb disposal squad of the CRPF was summoned and the IED was defused without causing any damage. The recovery of the IED comes just two days ahead of the Republic Day celebrations in Kashmir, where security has been beefed up to thwart any attempts by militants to stage attacks. Security forces have been deployed in strength at strategic locations in the city to prevent militants from moving around. The law enforcing agencies are carrying out random frisking and searches of vehicles entering the city. This year the main Republic Day function will be held at Sher-e-Kashmir Cricket Stadium instead of the regular venue -- Bakshi Stadium, which is closed for renovations. The area around the cricket stadium was sealed this morning for full dress rehearsal of the Republic Day Parade. Traffic police has issued an advisory for movement of vehicles between the city centre and south Kashmir and no vehicle will be permitted to move along the Ram Munshi Bagh-TRC stretch of the road during the rehearsal and Republic Day function.